The Sunday-Monday January 4th-5th storm slab has transitioned into a strong base layer and is now a persistent slab. It exhibits tensile strength that resists failure under light-moderate forces and shows no inclination to propagate. Above 5500 feet elevation, the snowpack is accumulating surface hoar under cold, clear, calm nights. If this surface hoar is covered by the forecasted Thursday-Friday storm loading event, we could see some interesting activity when the new storm snow settles. The formation of significant surface hoar at all sites above our night time inversion layer is important. This is generally above 5500 feet elevation. We expect this to have consequences to the avalanche hazard as the Thursday-Friday storm loading (7-11 inches) and southwest winds (12-16 mph) transport snow to east aspects. We are anticipating wind slabs forming over buried surface hoar. 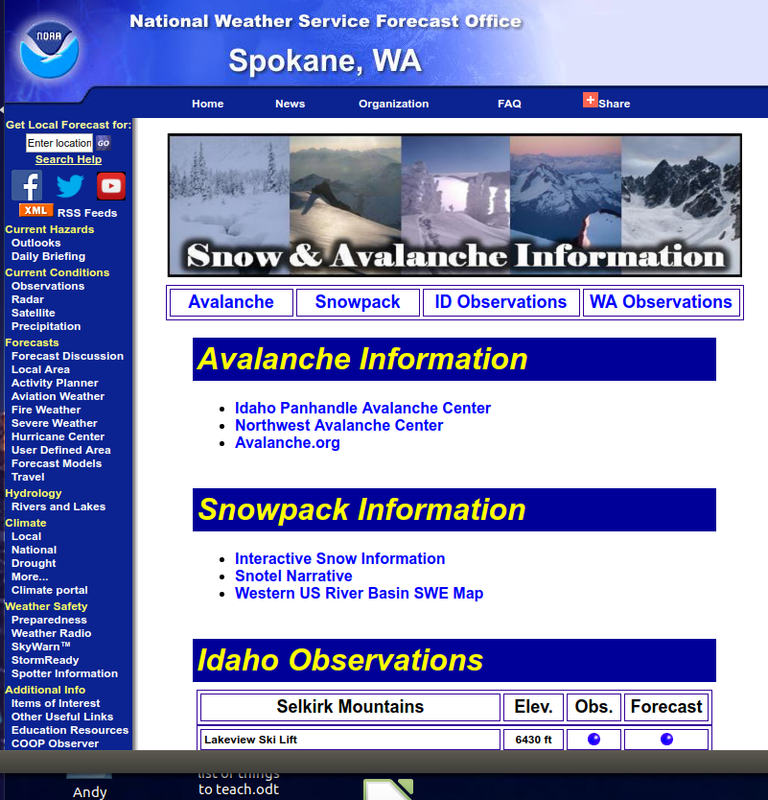 The forecast is for the avalanche hazard to increase during the next 2-3 days. Pay attention to chanign conditions and watch for signs of instability like cracking and collapsing. Today I visited Whoopee Basin in the West Cabinet Range. Entering basin with 70% of normal snow. Above 6000 feet elevation, skies were clear, winds calm and 26'F. On a steep southeast aspect I found 52 inches of snowpack. The top 2 inches was very soft new snow from Saturday with surface hoar. Below this is a 4 inch pencil hard melt-freeze crust from last Wednesday (1/8). This crust breaks frequently under the weight of a skier or snowmobile. Below this crust is a 16 inch one finger hard slab that sits atop a 4 inch knife hard rain crust. Finally, a 5 inch hard slab sits on the benchmark Thanksgiving knife hard rain crust. This benchmark layer is almost impossible to penetrate. Extended Column Tests yielded partial propagation at 6 inches from the surface (just below the Wednesday temperature crust) (ECTN4). Another ECT yielded partial propagation at 13 inches from the surface (ECTN5).
. ECT showing fractures but no propagation where card markers placed. Since the Tuesday January 13th advisory, weather in the Kootenai Region has been cool and mostly dry. 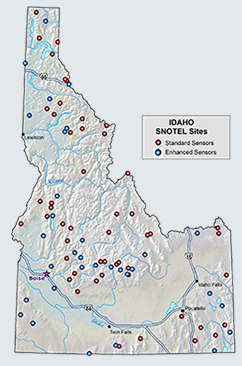 All SNOTEL sites below 6000 feet elevation recorded below freezing temperatures day and night for the last three days. Hawkins Lake at 6450 feet was positioned above the inversion and experienced above freezing temperatures Wednesday under clear/calm skies. Snow water equivalent (SWE) increases have ranged from 0.0-0.3 inches with the Yaak and West Cabinets getting some new snow. Weather today in Whoopee Basin of the West Cabinets above the inversion was clear, calm, and 26'F. View east from Whoopee Basin to East Cabinet Range above inversion. Forecasted weather is for increasing cloud cover starting Thursday night through Friday. Temperatures will slowly edge above freezing by Friday. Winds from the southwest (12-16 mph) will move available snow to east aspects. Chance of snow is 100% Thursday night through Friday with 7-11 inches possible accumulation. This new snow should be available for wind transport.